Aria Montgomery is right on trend with her fringed top from the episode unmAsked. 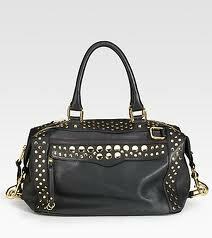 As fringe is a HUGE trend right now, I have seen tops similar to the one Aria is sporting in almost every clothing store! If you’re not a fan of the lip print on this top, you will be sure to find countless others that suit your taste. Aria sports this Wildfox Couture Kiss a Groupie Fringe Tee. In Blood is the New Black, Aria wears an intricate All Saints dress. My favourite element of this piece is the volume of the skirt. One thing to notice, however, is that you don’t want the volume of the skirt to overwhelm your body. Aria is petite, but the volume of the skirt is kept proportionate to her height, so it works well for her. 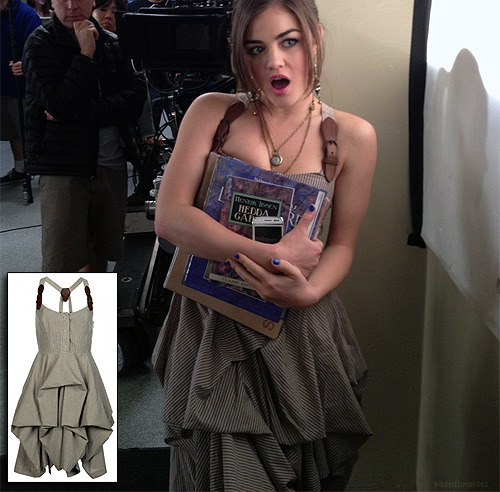 Aria wears this All Saints Nightingale Melody Dress.